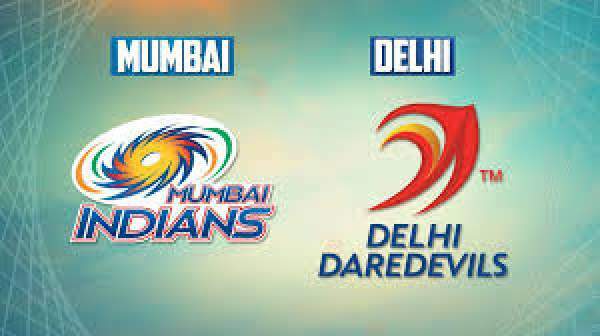 IPL 2018 DD vs MI live streaming will be provided by the official partners. You can watch live cricket match today online on Hotstar, Star Sports, AirTel, and Jio. The upcoming Indian Premier League will be played from March 29, 2019, to May 19, 2019. It could be held in South Africa or United Arab Emirates (UAE) due to Indian General Elections. The below will be updated timely as it is subject to change. The Indian Premier League has reached into its second decade and currently fairing in its 11th season. On television, you can watch it on Star Sports 1 / HD and Star Sports Select 1 / HD with English commentary. For Hindi, you will be required to switch to Star Sports 1 Hindi / HD channels. On the off chance, if you don’t have the luxury to the TV, then also you need not to worry about watching the matches. You can catch the live updates via IPL free online live stream option. It will be streamed live on Hotstar.com, Hotstar app, AirTel TV app, and Jio TV app. Before this match, the IPL 2018 points table states the following condition of both the teams. Delhi Daredevils stands at last in the standings table, i.e., 8th with 8 points in 13 matches – winning four and losing 9 so far. It’s a do or die match for DD. On the other hand, Mumbai Indians is ranked 5th in the points table with 12 points in 13 matches – winning 6 and losing 7 this year. If Mumbai wants to get itself a berth in the IPL 2018 playoffs, then it will have to register victory in today’s game. DD has won the toss and elected to bat first. Today’s game of IPL t20 is to be played at Feroz Shah Kotla stadium located in Delhi. So, it’s a home game for DD and will have the pressure to win at anyhow as they have nothing to lose now. It will start at 4 pm IST with the toss taking place at 3:30 pm IST on May 20, Sunday. The 30-minute time gap is given in every match to get the game going on the ground. In their last encounter, DD turned out to be victorious by seven wickets. For DD, there is nothing, but pride on stake which makes the young team dangerous to opposition. The captain’s bad form is a concern for Mumbai. He has been failing to live up to the expectations of the audience.